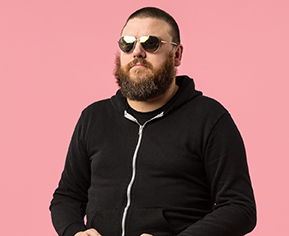 Haraldur ("Halli") Thorleifsson is a creative director and designer who has worked with Google, Fitbit, Airbnb, Cisco, Dropbox, Apple, Dropbox, Visa, Red Bull, Samsung, Airbnb, Lonely Planet, Verizon, Facebook, Uber, Microsoft, YouTube and Square—companies people interact with every day. Over the course of his nearly 20-year career, he has worked as a freelancer and at several creative agencies in the U.S. and his native country, Iceland. Before he founded Ueno in 2014, Thorleifsson was a sought-after freelance creative director and designer. Prior to that, he was a Designer at digital marketing agency Cuban Council in San Francisco, a Designer at information technology firm Gagarin in Reykjavik and a Creative Director at AdLib. Thorleifsson is the founder and CEO of Ueno (pronounced like bueno without the b), a first-rate, all-singing, all-dancing, fast-growing, fun-loving, not-quite-bourgeois, yet-not-quite-bohemian digital agency that designs and builds beautiful digital products, brands and experiences for brands including Airbnb, Lonely Planet, Red Bull, Reuters and Verizon. When Thorleifsson founded Ueno, he ran the full-service digital agency as a one-man operation out of his apartment in Iceland until he could graduate to a couple of desks tucked away in a massive Reykjavik office. Within four short years, Thorleifsson has built Ueno into a thriving digitally driven design agency with 50 employees and a dedicated workspace in a beautiful Reykjavik building and offices in San Francisco, New York and Los Angeles. Apple, Chubb, Cisco, Dropbox, Facebook, Fitbit, Google, Progressive, Samsung, Uber and Visa are also among its clients. He spends most of his time in San Francisco. Thorleifsson and Ueno have won several industry accolades, including Awwwards’ Designer of the Year, IWA’s Best Web Design of the Year, Communication Arts’ Site of the Week and numerous Webbys, Awwwards and FWA Site of the Day honors. Late last year, Ueno was accepted into the Society of Digital Advertisers, an international, invitation-only association of respected digital marketing agency leaders, entrepreneurs and visionaries.